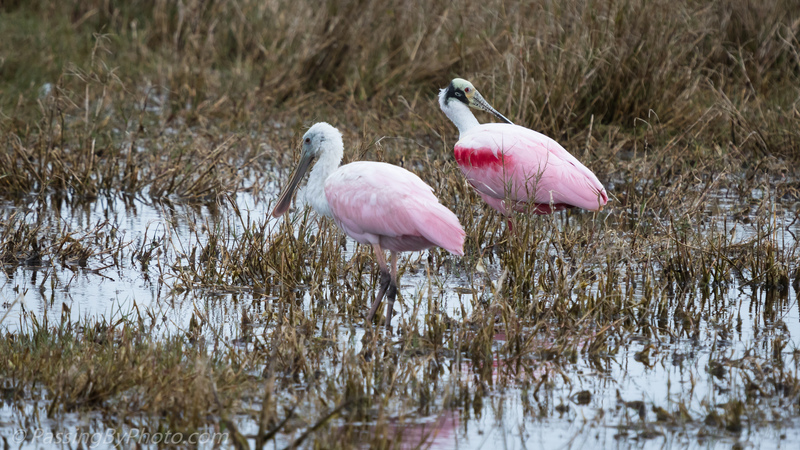 The Roseate Spoonbills that I saw in Florida more clearly demonstrate the differences between the immature and adult birds than those I’ve seen in South Carolina. 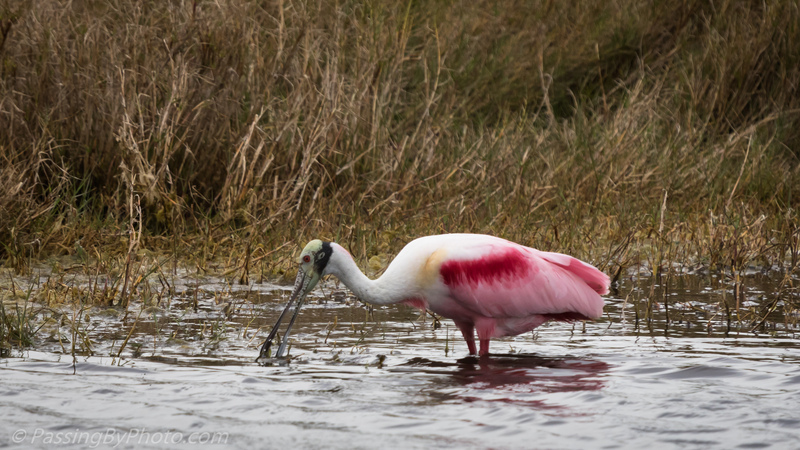 The pink color comes at least in part from their food that they sift out of the water with their unique beaks. Over time the pink shades darken as the pigments concentrate, they get a black band around their head and loose the white head feathers. 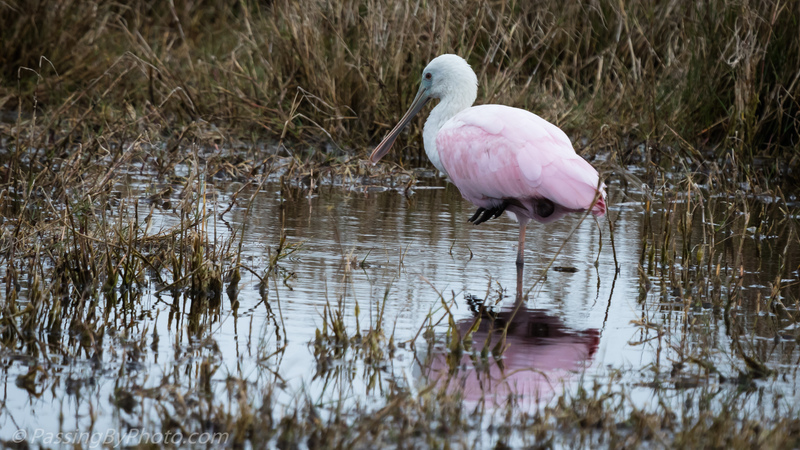 The younger Spoonbills also have smoother beaks. These two finally stood side-by-side in a marsh for a comparison shot. Merritt Island National Wildlife Refuge, 1/28/2018. Hopefully we’ll be seeing some in the low country this summer to make a local comparison, David. Beautiful captures, it has always been an exciting treat for me to have seen these birds! Thank you, Donna! They are so unusual you just have to love them. Plus, how can you go wrong with pink? Interesting to see them individually and side by side. Such amazing birds, very nice! Thanks, Belinda! I was pleased to get the two together to compare. It was surprising to me how different the coloration is in Florida from the ones we see here, about 350 miles away.